A study published in a recent issue of Addictive Behaviors examines individuals’ experiences with long-term antidepressant (AD) use and attempts at discontinuation, and the role prescribers play in both. The study’s research team, led by John Read of the University of East London, surveyed 752 AD users in the UK and found a high incidence of long-term use (75.6% of those surveyed who were still taking ADs had been doing so for one year or more; 35.6% for five years or more). 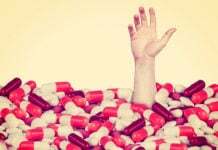 They contend that the growth in global AD prescriptions is in large part due to chronic use and that such use has been exacerbated by AD withdrawal symptoms, which make discontinuation difficult. As the authors note, AD prescription rates in the U.S. and the U.K. are high and continue to climb. And yet serious skepticism exists regarding these drugs’ efficacy over placebo, and their suitability, given their adverse effects. A review and network meta-analysis of 21 ADs published this year in The Lancet brought these concerns and related debates back into the public eye. Read and his team explain that rising AD prescription rates are not reflective of a corresponding rise in depression rates or new patients seeking treatment, but instead are more likely attributable to “long-term usage and repeat prescribing.” For example, one study of over 185,000 general medicine patients in the UK found that a near doubling in AD prescriptions between 1993 and 2004 could be accounted for by long-term prescribing. With their study, the researchers aimed to contribute to greater “understanding of the long-term use of ADs, dependency, and efforts to withdraw.” To do so, they administered a Medication for Mental Health Survey, designed by the UK charity Mind, to a convenience sample of adult psychiatric drug users in the UK. 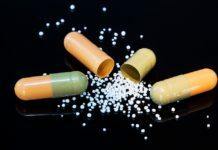 The featured analysis focused specifically on survey responses from 752 users who had taken only AD and “no other psychiatric drugs,” with a particular emphasis on questions that examined their experiences attempting to withdraw from ADs. Of survey respondents, about one-third had ceased AD use (34.2%) and two-thirds (65.8%) were still taking an AD at the time of the survey. 75.6% had been on an AD for one year or more, with 35.6% of participants receiving an AD for five or more years, and 19.8% for 10 or more years. The survey results explored the quality of care and communication participants received related to their AD treatment. Regarding initial informed consent for ADs, 48.1% of respondents felt that they had been given adequate information about “the medication, including side effects and withdrawal”; 39.6% thought that they had not. Among those respondents who had stopped taking ADs at the time of the survey (34.2%), reasons for halting use included “not needing” them anymore (34.2%), side effects (32.3%), and the wish to not be on medication long-term (31.5%). Only 9.3% of those who had discontinued use stated that they had done so at the prompting of their psychiatrist or GP. Given concerns about the harms and heightened withdrawal effects associated with long-term AD use, the authors express consternation at not only the high percentage of participants who exhibit chronic use (35.6% of those currently taking an AD had been doing so for 5+ years), but also the rate (25.8%) of respondents who indicated that they anticipate taking ADs for the rest of their lives. Based on their findings that only a small number of participants (9.3%) discontinued ADs at their doctor’s advice, and the more significant percentage of participants who did not discuss AD discontinuation with their doctors because they felt they wouldn’t listen (27.2%) or be supportive of their decision (29.8%), the authors also posit that physicians’ attitudes and practices related to AD prescribing, informed consent, and discontinuation may contribute to long-term AD use. Lastly, they note that the limited number of AD doses available through pharmacists makes discontinuation challenging; tapering strips represent one answer. 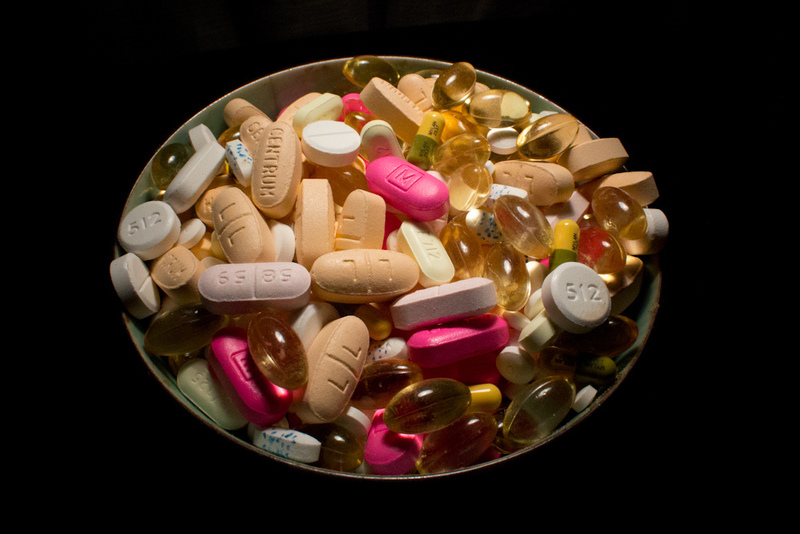 The authors suggest that their study findings back the idea that growing AD prescription rates are the result of “chronic” rather than new usage, and that “chronic usage” is influenced by AD “withdrawal symptoms.” However, the study does have some limitations which should be noted, including the use of a “self-selected, convenience sample” and the sample’s unbalanced gender (76.1% women) and racial/ethnic (97.1% White) composition. a lot about the corruption and lack of truth that I see in psychiatry…. And the doctors need to be educated about what the common symptoms of antidepressant discontinuation syndrome are, since I know none of the doctors, psychologists, or psychiatrists I dealt with back in 2000 knew anything about the adverse effects of the drugs they prescribe. (PDF) ‘Brain shivers’: From chat room to clinic. Available from: https://www.researchgate.net/publication/247806326_%27Brain_shivers%27_From_chat_room_to_clinic [accessed Sep 21 2018]. Thank goodness for the internet, since the doctors are so ignorant and seemingly proud of their disempowering “system.” I agree, consternation at the antidepressant prescribing habits of today’s medical community is well warranted. And I will say the ER doctors are still trying to hand the antidepressants out like candy to people who are not depressed. But if you tell them you’re allergic to the anticholinergic drugs, they embarrassedly run away fast. I agree, “Prescribers should strive to establish collaborative relationships in which patients are fully informed about withdrawal effects and their views about starting and finishing medication should be explored and valued.” It’s called mutual respect, and it’s very sad that the doctors need to be reminded to treat others in a mutually respectful manner. I know I’ve posted this link to the Guardian article before, but it is quite mind-blowing. Data from a Freedom of Information request shows that a staggering 1 in 6 people in England were prescribed antidepressants in 2017. The College of GPs and the RCPsych of course try to say how good it is that depression is being diagnosed and treated. One sixth of the population have clinical depression that requires chemical correction? Bonkers. Its not as if the drugs actually work anyway, but thats another story.